Welcome to the Redi blog! Our vision at Redi Match is provide solutions for real estate investors. This ranges from property discovery technology to accessing specialized data to help make investment property decisions. We also provide real estate tracking technology that is used by real estate professionals, owners, property managers and accounting professionals. To learn more about our tracking technology, visit Property Cash Flows. Thank you for visiting Redi. 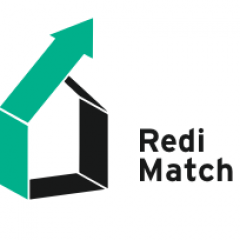 To learn more and stay up to date on real estate investment solutions, please sign up at Redi Match.